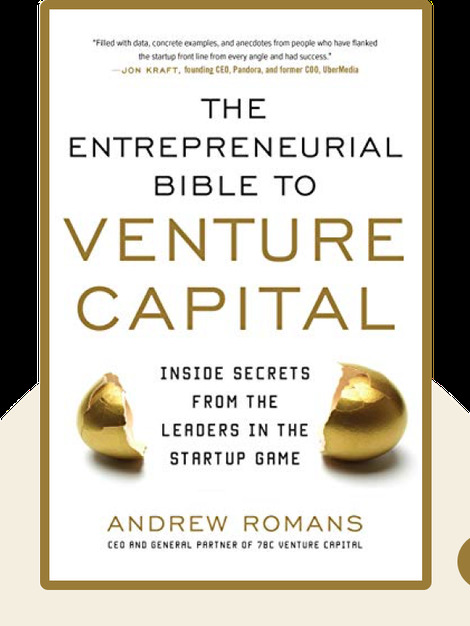 The Entrepreneurial Bible to Venture Capital (2013) is a must-read for any entrepreneur or business leader looking to fund their next great idea. Venture capital firms seek start-ups that show potential and often commit to the tune of millions of dollars. If you want to make it in today’s competitive start-up world, you need to understand how venture capital works. 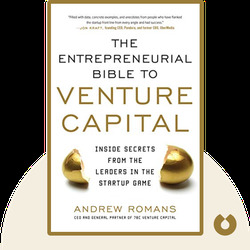 Andrew Romans is the co-founder of Rubicon Venture Capital, a venture capital firm that specializes in early-stage investment opportunities for start-ups in Silicon Valley.